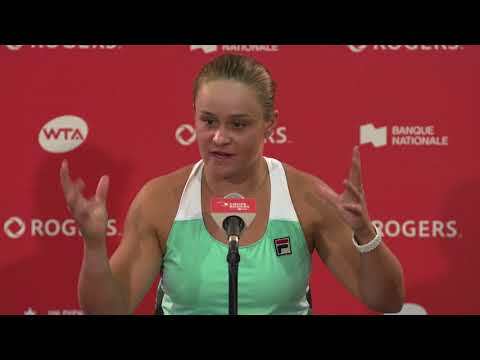 Last year, Gabriela Dabrowski made history by becoming the first Canadian woman to capture a Grand Slam title after winning the Roland-Garros mixed doubles trophy alongside her partner Rohan Bopanna… and she was crowned mixed double champion again in 2018 at the Australian Open. Has Gaby put Canadian women’s doubles back on the map? Dabrowski has been making noise on the international tennis scene for a long time. In 2006, she became the first Canadian to win the prestigious Petits As tournament and in 2009, she became the first Canadian since Carling Bassett-Seguso in 1982 to claim top honours at the Orange Bowl, one of the biggest junior tournaments in the world. The Ottawa native then started her professional career by reaching the final of the Tevlin Challenger in Toronto in 2011. Over time, Dabrowski has truly become a doubles specialist. In 2013, she reached her first WTA final in Brussels with Shahar Peer. 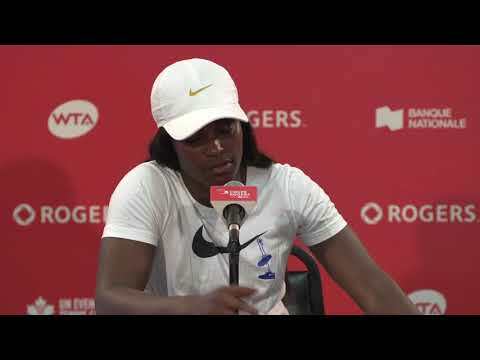 At Rogers Cup, Gabriela and fellow Canadian Sharon Fichman upset the formidable Italian pair of Sara Errani and Roberta Vinci en route to the semifinals. In 2014, she took home her maiden WTA doubles title in Washington. Since then, Dabrowski has enjoyed a great deal of success on the doubles court, now boasting 20 career titles. A gold medalist at the Pan Am Games in 2015, she also represented Canada at the 2016 Rio Olympic Games. Dabrowski recently made the decision to prioritize doubles and her efforts have certainly paid off. In 2017, she qualified for the WTA Finals in Singapore for the first time. So far this season she has won titles in Sydney, Doha, and Eastbourne which has allowed her to crack the Top 10 (career-high of no. 7) on the WTA doubles rankings, becoming just the fourth Canadian to accomplish the feat in singles or doubles. Dabrowski spoke to us about her career to date and what it means to be a full-time doubles player on the WTA Tour.